This is not the ultimate horror anthology movie by any means, but it’s not a bad one either, as it has some solid stories of some classic fairy tales we grew up with as children. 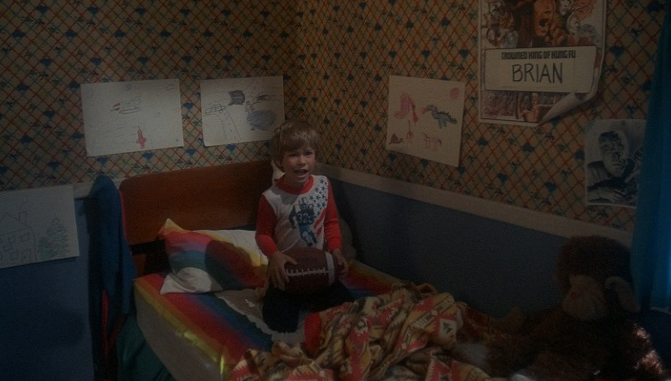 The film’s narrative and cohesive glue has a young boy named Brian who is afraid of falling asleep, because of the monsters in his closet and under his bed might get him. Luckily, his Uncle Mike is there to calm him down and read him some bedtime stories. Being the cool-as-hell uncle as he is, Uncle Mike tells his own spin on some classic fairy tales that involves a boy and some witches, a werewolf and Little Red Riding Hood, and some fun with Goldi Lox and the three bears. Needless to say, the young and sweet Brian will be having some nice, quiet dreams after these stories – NOT! Oddly enough, Delman added some silly humor to the whole story, which didn’t mix quite well with each story. The horror and terror of each story in ‘Deadtime Stories‘ are well done and entertaining for sure, but with some of the over-the-top humor rearing it’s head from time to time, you’ll be taken out of the suspense and moment of horror in each scene. I’m a big fan of werewolves for sure, and this different look at the werewolf lore is quite fun, all with Red Riding Hood in it. It’s very enjoyable. The witches segment is entertaining enough, but is the weakest link of the three, as the witches try to bring back one of their own. The Goldi Lox tale is fantastic and is something I want to see in feature length form. Goldi Lox runs into a family named the Baers who rob banks, led by a woman named Mama Baer (Melissa Leo). When Goldi Lox turns up, the Baers learn what she really is, which is no good for anyone involved really. There are some gory moments for sure and some decent makeup effects, along with some fun horror stories, but it’s all too silly to rank up there with something really scary. Still, the nostalgic feel of the film is good enough to watch it again, even if it doesn’t hold up after all these years. The Video: ‘Deadtime Stories‘ comes with a 1080p HD transfer and is presented in 1.85:1 aspect ratio. There are varying degrees of video quality here. 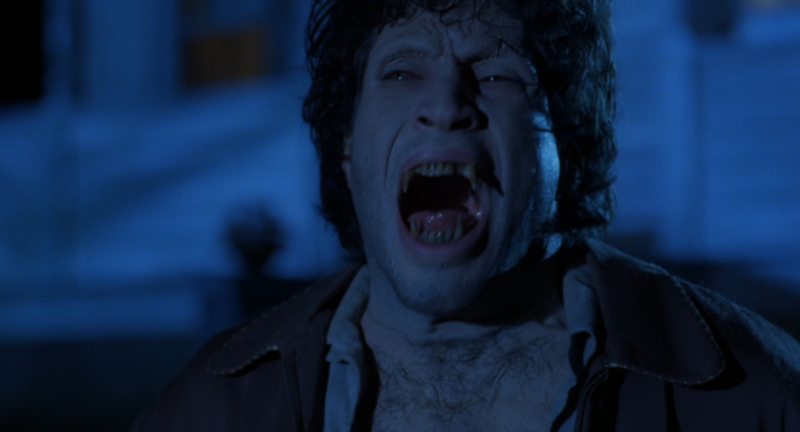 The detail throughout looks good for the film being 30 years old and made on a low budget with decent closeups that reveal individual hairs on the werewolf and great wardrobe stitching. Colors on the other hand look paler and vague in certain segments and brighter and full of life in others. The color red can look lighter at times and blood red in others. There is a good layer of grain that keeps the filmic quality in tack and gives the film some depth. Black levels are mostly deep and inky and the skin tones are mostly natural. There is minor wear and tear, but it’s nothing to write home about, leaving this 30 year old video presentation with solid marks. The Audio: This release comes with a lossless DTS-HD MA 2.0 stereo option that does a good job, despite not having a 5.1 option. Sound effects are loud and mostly robust, however some of the sound effects can be overly loud at times. ambient noises of screams, howls, and people talking sound great here too. The music of the film adds to the zany comedy and horror to everything without drowning out any other sound aspect. Dialogue is crystal clear and easy to follow too. There is a bit of low wend to this with some deep groans and music cues that add to this soundtrack. Lastly, there were no pops, cracks, hiss, or shrills here. Audio Commentary – Filmmaker Jeffrey Delman comes back to discuss making this fun film, and he certainly has a good time talking about it. Delman talks about making the film on a short budget, coming up with the stories, casting, and some of the visual effects work that went in to the film. A great listen for sure. A Band of Gypsies: The Making of ‘Deadtime Stories’ (HD, 16 Mins.) – New interviews with actresses Melissa Leo, Cathryn DePrume, and actor Scott Valentine discuss the making of the film, anecdotes from the set, and some memories from their career. I like The Grotesque: Interview with Jeffrey Delman (HD, 16 Mins.) The director of the film talks about making the film, where he goes over a lot of the same material from the commentary above. The Black Forest: Original Short Film (SD, 30 Mins.) – This is a longer version of the Peter and the Witches segment, which goes into great detail of the segment we see. Definitely worth watching. Deleted Scenes (SD, 3 Mins.) – Intros with Delman give way to two deleted scenes that show an alternate opening to the Red Riding Hood segment and a cut scene from the Goldi Lox and the three Baers segment. Trailers (HD, 3 Mins.) – Trailers for the film are here. Photo Gallery (HD, 4 Mins.) – Production photos and art for the film are presented here. 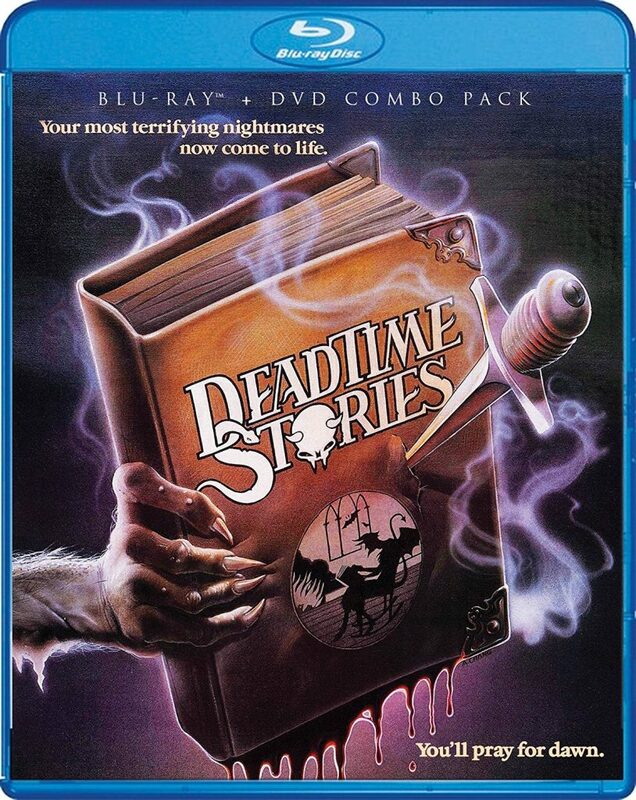 ‘Deadtime Stories‘ isn’t the absolute best horror anthology film out there, but it certainly is a lot of fun. 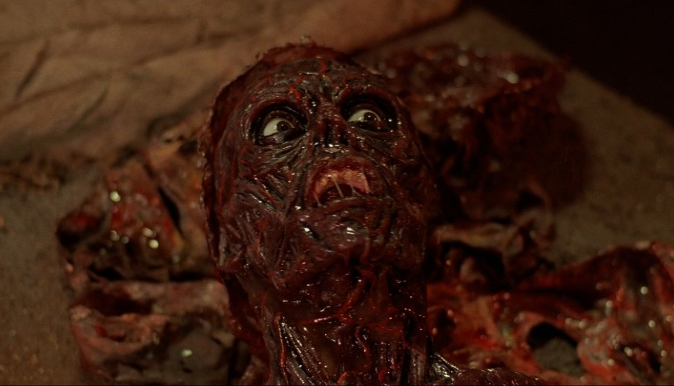 There are some great moments of gore and horror, but also some over-the-top silly comedic moments come up, which in my opinion, make the movie worse. Still, this is fun enough to watch again and re-live your early childhood with these sadistic fairy tales. The video and audio have some minor problems, but are overall good. The extras are all worth watching and listening to for sure. This entry was posted on Monday, March 6th, 2017 at 8:46 pm	and is filed under Film, News. You can follow any responses to this entry through the RSS 2.0 feed. You can skip to the end and leave a response. Pinging is currently not allowed. « ‘Overboard’ Gets The Reboot!! !